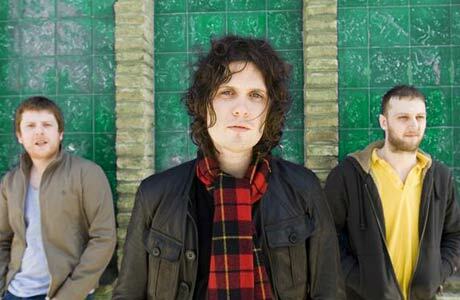 You could be forgiven for mistaking their name for the sweet treat Fruitella’s but you cannot be forgiven if you haven’t danced until you’re numb to The Fratellis’ chart topper Chelsea Dagger. After dropping off the radar for a five-year hiatus they are back with an acclaimed third album. The new release We Need Medicine is sure not to disappoint with its bold, infectious beats, another high-powered Indie anthem is in the pipeline for the Glaswegian trio. In order to promote the new album, the band are back in Manchester tonight for what is sure to be a fantastic show at The Academy. Why not treat yourself to a midweek pick-me-up and dance the night away? Get to and from the gig safely and quickly by prebooking a Mantax cab, as they all seat a minimum of five people you can fit all your mates in and really make a night of it! Book using our iPhone & Android app and enter code PROMO5 to save a fiver on your first journey. Have fun! Manchester World Fam… on Manchester Christmas Markets!